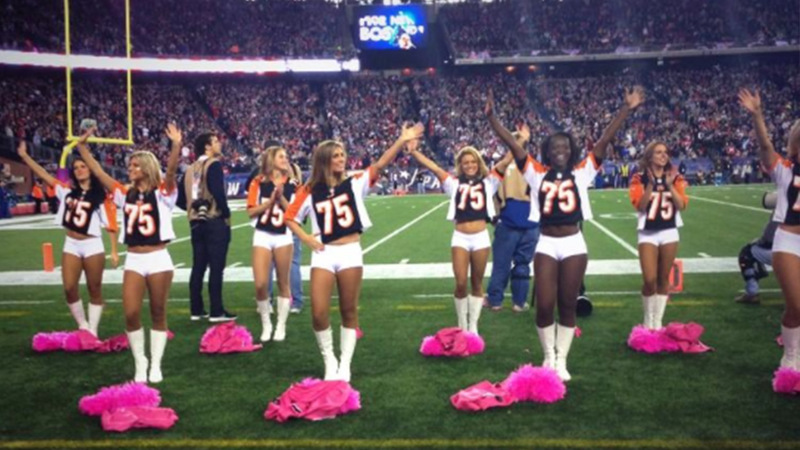 Even though the Cincinnati Bengals lost to the New England Patriots 43-17 on Sunday night's NFL game, Devon Still had a huge personal victory with the help of the Patriots' cheerleading squad. 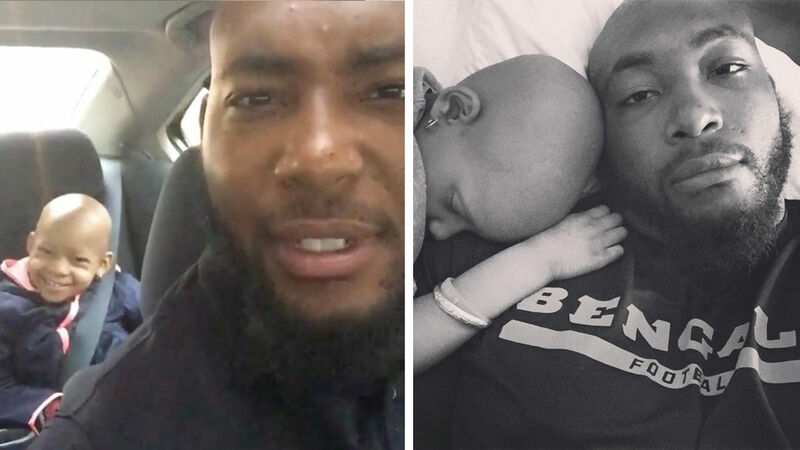 Still, 25, has been making headlines over the past few months after the Cincinnati Bengals added the tackle to their practice squad, enabling the player to still get health insurance to take care of his four-year-old daughter's cancer treatment. 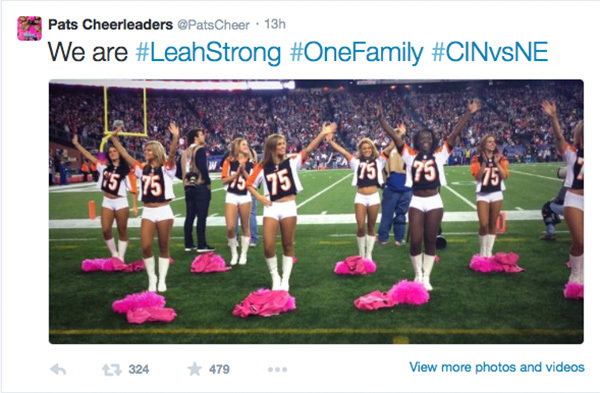 Bengals and NFL fans have been incredibly supportive of Still's daughter's struggle, and now the New England Patriots' cheerleading squad showed their support by donning jerseys of the Bengals' player in Sunday's game. Still was incredibly appreciative of the gesture, as this image captured by a Twitter user showed the player with gracious tear streaming down his cheek. A Twitter user captured Still's emotional reaction to the cheerleaders' display. Still's current roster situation with the Bengals gives him the ability to play while allowing him the freedom and flexibility to take care of his daughter at home. 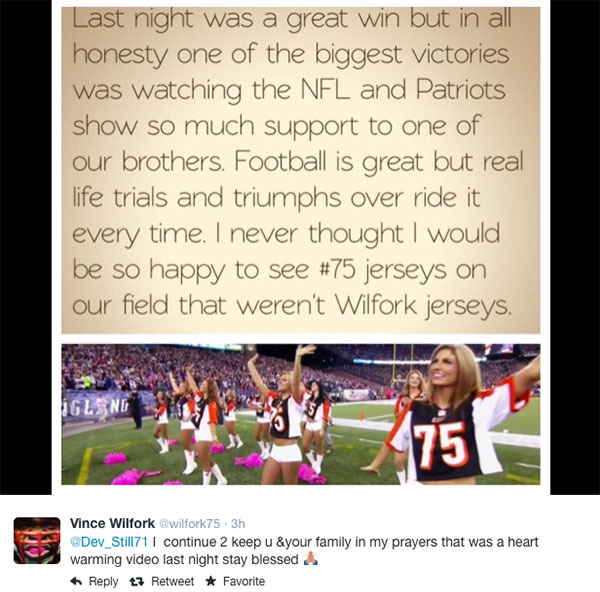 Still's story has captivated Bengals and NFL fans at large, with tens-of-thousands tweeting their well wishes and support to the player. Still regularly posts videos of himself and Leah to his Instagram account, receiving a huge positive response from his online audience. Still posted the following on his Instagram after viewing the emotional display. "This really caught me off guard yesterday. Big thanks to the Patriots organization and the cheerleaders for showing amazing support. We may not have won the game last night but putting a smile on my daughters face as she watched this definitely helps her to win her battle! #MoreThabFootball #PrayForLeah." The Patriots tweeted the following from their official and cheerleading accounts. The New England Patriots cheerleaders showing their support. 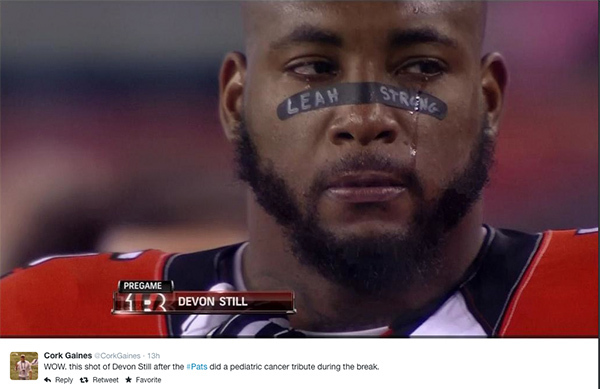 The Patriots tweeted they will donate $25,000 to Cincinnati Children's Medical Center in Leah's name.